Seeking alternatives to diesel buses is crucial for realizing the carbon emissions reduction agenda in public transport. Although some improvements in terms of reducing harmful environmental effects have been made, it is expected that there is a limit to the "cleaning" of conventional diesel buses. Hence, cities and bus operators are under pressure to shift to zero-emission electric powertrains such as tramways, trolleys, battery electric buses and fuel cell electric buses (FCEB). Diesel buses currently dominate the public transport market due to their high productivity, low deployment costs, technological maturity, operational reliability and flexibility (e.g. high daily ranges, fast refueling and no infrastructure requirement along the routes). However, there is mounting evidence that diesel exhaust poses major health hazards and reducing diesel pollution has become a public priority. Many cities and bus operators are struggling with the currently conflicting objectives of shifting to zero-emission public transport while maintaining operational flexibility and keeping budgets under control. 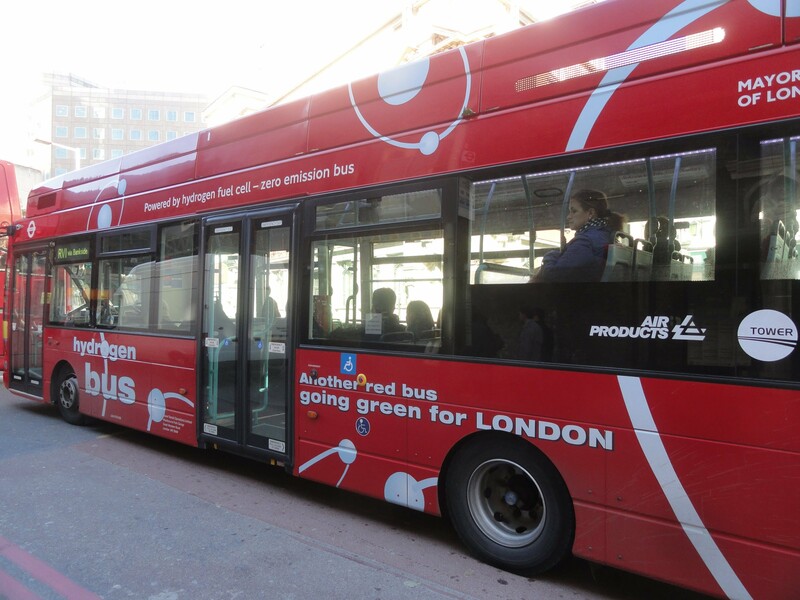 Fuel cell electric buses are ideally suited for reducing air pollution emissions while meeting operational requirements. The potential for greening urban mobility and associated benefits is enormous. FCEB reduce the external environmental and health care costs induced by public transport. With lower noise levels, air quality improvement and vibration mitigation, cities can cut costs, increase property values and benefit from a "green" and modern image. Promoting hydrogen fuel cell technology also contributes to reducing the dependency on fossil fuels. The environmental impacts and benefits extend well beyond local zero emissions. Hydrogen as a road fuel yields significant potential for carbon neutrality on a well-to-wheel basis, including production and means of delivery. Hydrogen can be produced with electricity from 100% renewable energy sources. Hence, operating FCEBs can be achieved with zero CO2 emissions along the entire hydrogen value chain. By using hydrogen produced from renewable energy sources only, one standard FCEB would save approximately 800 tons of CO2 emissions in its lifetime of 12 years compared to a conventional diesel bus. The U.S. Federal Transit Administration’s newest clean energy initiative is the Low or No Emission Vehicle Deployment Program, known as the LoNo Program. The program provides funding for capital acquisitions or leases of zero-emission and low-emission transit buses. The program and its financial support is an essential step in the process to full commercialization of FCEBs. Monitoring the current fuel cell electric bus programs is generating significant data which will be enhanced in the near future with additional operating sites - each with several more FCEBs. 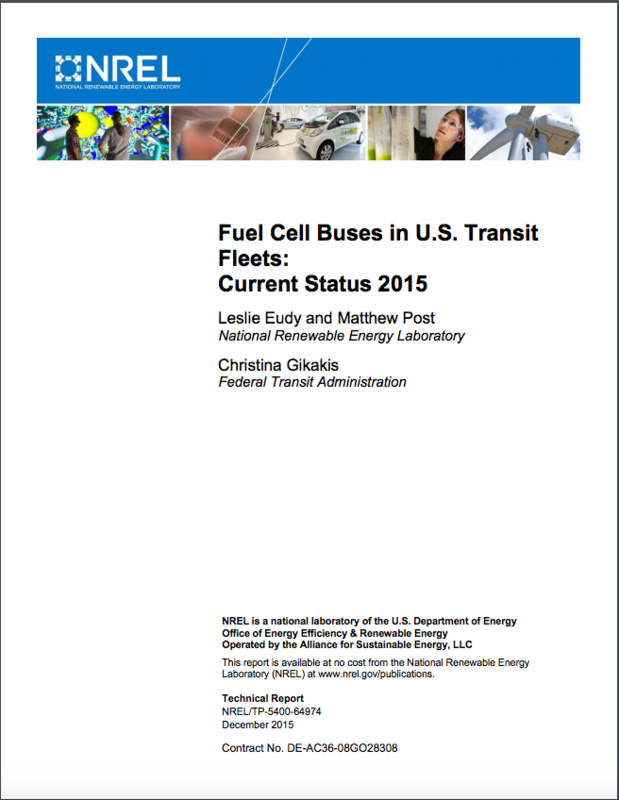 A detailed report has been compiled by NREL: "Fuel Cell Buses in U.S. Transit Fleets: Current Status 2015" and is available for free download below.